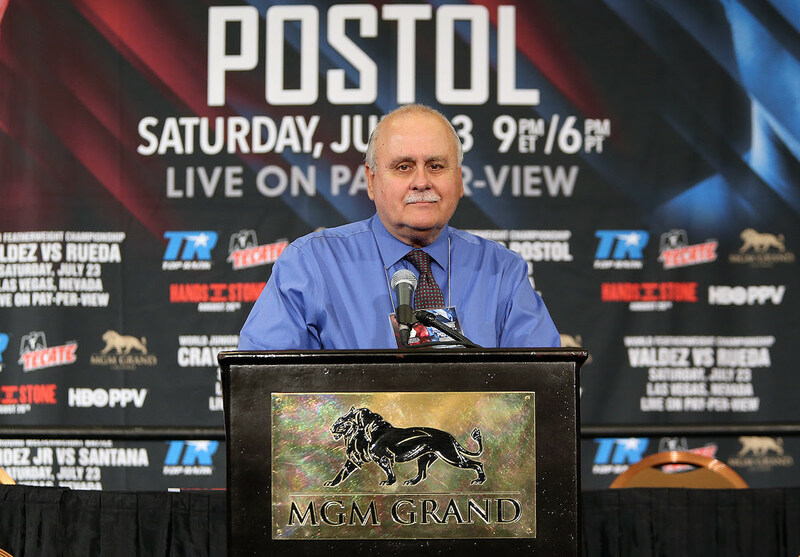 Top Rank is proud to announce that Lee Samuels, the company’s chief publicist for nearly four decades, will be inducted as part of the International Boxing Hall of Fame (IBHOF) Class of 2019 in Canastota, N.Y.
Samuels is only the second publicist to receive this honor following his mentor and former Top Rank public relations chief, Irving Rudd, who was inducted as part of the Class of 1999. Samuels is the fifth member of the Top Rank family to receive boxing’s highest honor, joining Rudd, Founder and CEO Bob Arum (1999), longtime matchmaker Bruce Trampler (2010), and the late matchmaker Teddy Brenner (1993). “This is a tremendous honor, the biggest in the sport of boxing,” Samuels said. “Bob Arum hired me in 1983 to be part of a new ESPN Thursday night boxing series. Todd duBoef, our president, personally helped my family when we needed it the most and kept us going. It’s incredible for me to join Top Rank’s greatest publicist, Irving Rudd, in the Hall of Fame. A native of Pennsville, N.J., Samuels cut his teeth as a sports writer at the Courier-Post and the old Philadelphia Bulletin. At the Bulletin in the late 1970s and early 1980s, he covered many of the sport’s leading lights, including Muhammad Ali’s historic victory over Leon Spinks on Feb. 15, 1978 in Las Vegas. After the Bulletin shuttered its doors, Samuels joined the Top Rank team, working out of an office in Atlantic City but spending most of his days on the road. Three years into his Top Rank tenure, Arum dispatched Samuels to the Canyon Hotel in Palm Springs, Calif., where he headed up publicity as Marvelous Marvin Hagler prepared to defend his middleweight world title against Sugar Ray Leonard. Since the days of Hagler, Samuels has helped tell the stories of the world’s leading pugilistic superstars, including Manny Pacquiao, Thomas Hearns, Miguel Cotto, Floyd Mayweather Jr., Michael Carbajal, Donald Curry, Juan Manuel Marquez, Oscar De La Hoya, Timothy Bradley, Terence Crawford, Vasiliy Lomachenko, and Erik Morales.